Name's Kenny John, living in Hong Kong. 15 years old and planning on moving to university in a few years. Perhaps Uni of Melbourne. 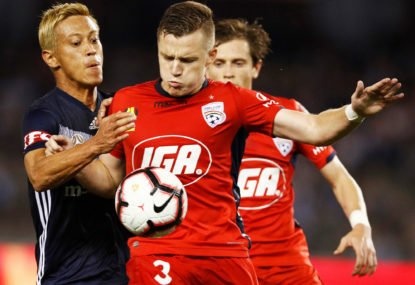 Have family members who live in SA, so an AUFC fan. Go the Reds. Getting a job related to soccer would possibly be a dream come true, and every one has to start somewhere. So why not sport opinion writing? 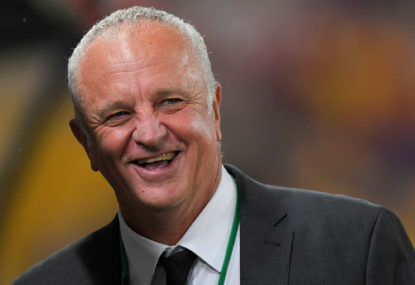 The Olyroos, run by Socceroos coach Graham Arnold, need to finish first or be the top four highest-ranked second-placed teams in order to qualify for the AFC U23 Championship in Thailand next year. What would be Australia's best Asian Cup lineup? 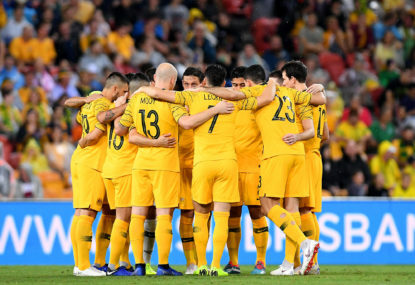 The Socceroos have five players down now, with Aaron Mooy, Mathew Leckie, Daniel Arzani, Brandon Borrello and most recently Martin Boyle all injured. Australia, the defending champions of Asia, have always been an Asian football powerhouse since leaving the Oceanian Confederation in 2006. Australia's horrible forward line, form or experience? 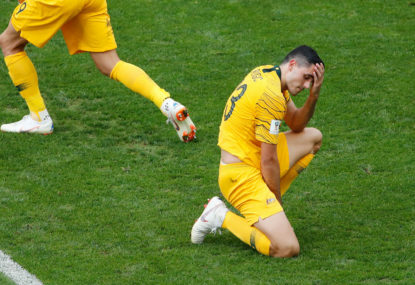 The Socceroos struggle to score goals from open play against strong sides, and this was highlighted in the World Cup. Last season, Western Sydney finished seventh. They did well in their attack, but they could have improved in the midfield and the defence. 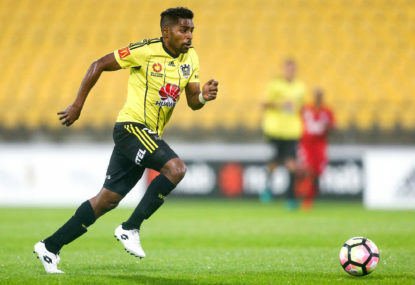 Last season, Wellington finished ninth. They did well in their midfield consisting of Matthew Ridenton, Goran Paraski, Matija Ljujic and Sarpeet Singh but they could have improved in their defence, with Daniel Mullen, Andrew Durante, Tom Doyle and Dylan Fox unimpressive at times. 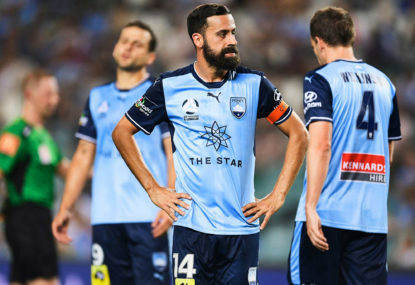 With the 2018-19 A-League season starting in under a week, it’s a good time to analyse one of the top teams, Sydney FC. Perth finished eighth last season and will be looking to improve their defence to take a step forward this time around. Last season, Central Coast had an improved squad but finished last. They did well in creating chances in the front third, but they could have improved their finishing with a defence that was led poorly by departed captain Alan Baro. 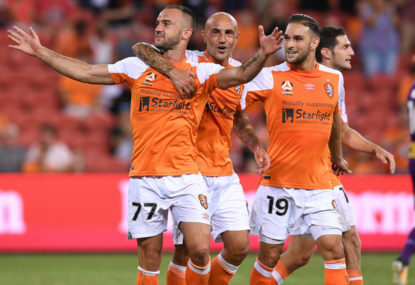 With the transfer window nearly over and the season beginning for a new Brisbane Roar side, read below to see a brief overview of where this new squad could finish. 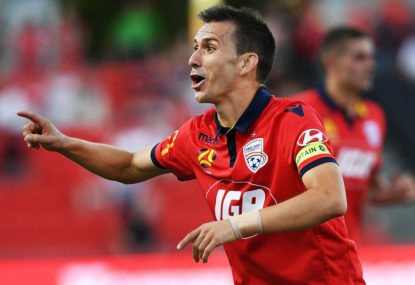 With the A-League 2018-19 season on the horizon and the transfer window nearly over for an inconsistent Adelaide United side, read below to see a brief overview of last season and what the ins and outs are. 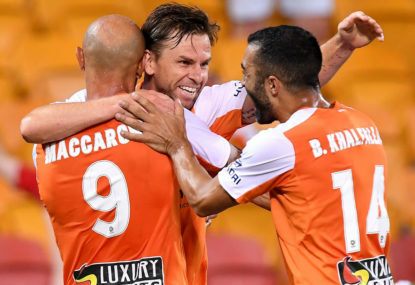 Brisbane Roar was very inconsistent last season, and had the oldest A-League starting XI from Rounds 20-22, with Jack Hingert (currently 27) their youngest player. 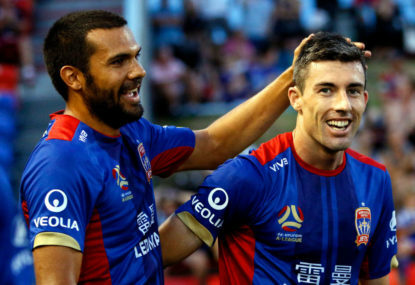 Central Coast finished the 2017-18 A-League season poorly after losing 8-2 to their rivals Newcastle Jets. Marco Kurz’s side has a difficult season ahead after they have lost the likes of veterans Johan Absalonsen, Daniel Adlung, Tarek Elrich, Ersan Gulum and Dzengis Cavusevic. Does an unbeaten run suggest the Danes are the real deal? While France are overrated ahead of the 2018 FIFA World Cup, what about Australia’s other group rivals, Denmark? Is France more vulnerable than we think? 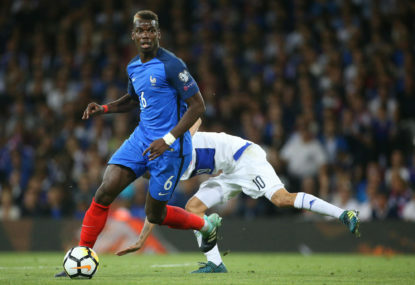 While France is a soccer team with world-class players and one of the highest ranked teams in the world, they might not cruise through the World Cup group stages as easily as one might anticipate. To be honest, I think I would actually let Oriol Riera go. Despite scoring a few goals, he goes missing in games and a few of his goals are from the penalty spot (including some from rebounds). Duke, Yeboah, Baumjohann and Bonevacia seems like a good front four for next season. So perhaps a defender can help. 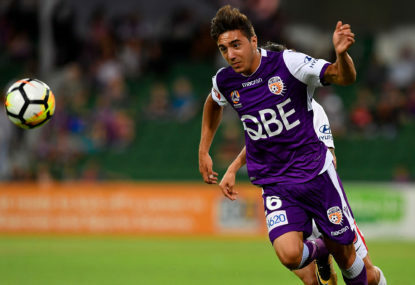 Personally I don’t think Kurz has given the youngsters enough game time; such as Apostolos Stamatelopoulos (brace in FFA Cup match against Mariners), Carlo Armiento (set up a winner and is dangerous off the bench), Pacifique Niyongabire (good form in NSL), Louis D’Arigo (young talent), Nathan Konstandopoulous (Adelaide’s best young player last season). Lia is very old, Diawara and Thomassen delivered naught. Ilso wasn’t flash. Goals dried up from Goodwin and Kurz played a promising Blackwood out of position. Elsey wasn’t at his best this season, he got injured and Regan left. 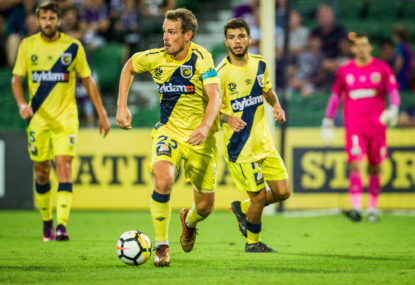 Why didn’t Kurz bring in a centre half from Adelaide’s Youth Academy? No wonder why Adelaide fans are frustrated and want change. Are you serious? Putting someone who plays mainly as a right winger off the bench for Newcastle up the front for the Socceroos? He’s in his mid-twenties as well. Are you seriously saying THIS is all the Socceroos have got? It actually wasn’t a bad performance considering the pitch and the conditions. Although Cambodia was woeful, gave away possession far too easily and panicked when under pressure. And their marking was terrible for the first goal. Well, it’s never an easy road to 2022, especially considering the poor performances of the Asian Cup. I think the Socceroos have to go rebuilding mode and throw out half the players from the Asian Cup squad, players which aren’t performing well and/or players who are 27 or older. Based on form, I would have to go with O’Neill. Based on experience, I would go with Baccus. Well I had the Glory down as 8th before the season started. Most had them in the middle of the road, so perhaps you’re right. l would put in Millar at right back. 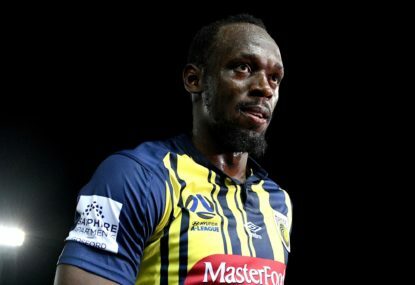 Superb assist for the Mariners second goal and he has the most assists in the league. Deserves a Socceroos callup. I think that Shayon Harrison and Florin Berenguer should be benched for Riley McGree and Lachlan Wales, but currently they are with the young Socceroos. I still don’t think that highly of Sydney, I mean Caceres is sort of a City reject. City look like a different side with Jamie Maclaren and with key defenders coming back, I believe City could potentially pull off an upset. With Adelaide’s lack of defenders and lack of goals, one would probably pick Perth. I hope the Wanderers can pull off an upset and start a late surge. I’m not sure if Sydney will be able to cross the line against City though. I’d be very surprised if Sydney FC won this match. Everyone was talking about Sydney FC winning last season and I believe they sat at the bottom of their group, only winning one match. With the salary cap, it’s probably only going to be the Sydney and two Melbourne clubs competing for the title. The Mariners are likely to continue getting the wooden spoon and everyone else is probably in the middle. It’s about time United beat Sydney FC. They have a poor league record against them and haven’t beaten them since 2016 (D3 L5). The FFA Cup final was sweet revenge though. Lia is past his best tbh, would pick Boland over him. Thomassen did win a penalty, which Goodwin failed to convert. But Kitto imo is looking bright. 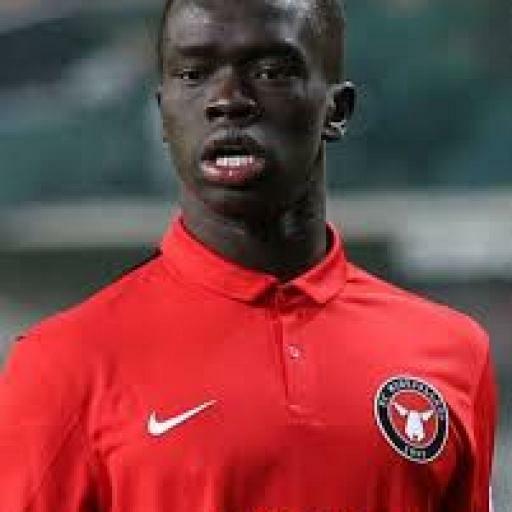 Adelaide could really use another attacker in form. umm, probably Marco Rojas for those who remember him. I thought he was fantastic. I think Ninkovic has been very ordinary this season. In 2016/17, he was very good but I still wouldn’t have put him as Johnny Warren Medalist. In 2017/18, he was good in patches but certainly was less effective. You’re an optimist! Well, I just can’t really see any of them being the next Harry Kewell or Tim Cahill. But, there’s some hope. 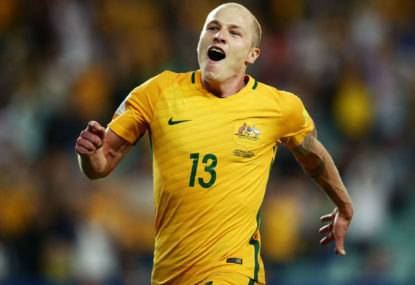 Australia is just not the same side in the Middle East, or without Boyle, Mooy and Arzani. Considering Australia’s poor record, I’m not disappointed. I would have settled for it beforehand. To be honest, I believe that all the teams in the top six are pretty similar in ability. There are only 11 points between 1st and 6th. So really, I think it could be any body’s year (except the bottom four teams of course). Sorry, just no. Luongo is simply not good enough. He always plays in a deep role, and has been underachieving so far at the Asian Cup. Starting someone playing badly in an unpreffered position, just no. He wouldn’t even make my starting xi. Anyway, Idk. Maybe worth changing formation. Perhaps it’s about time the Uzbeks got their revenge after that 6-0 loss in 2011, and the Round of 16 clash is a perfect opportunity to do so. Tbh I don’t like Australia’s predicted starting lineup much. 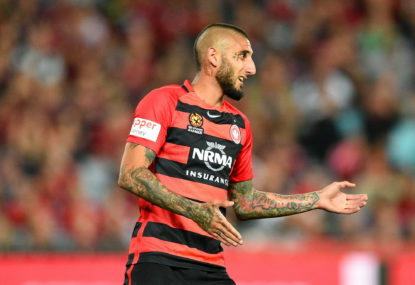 Maclaren should be benched because he should already have a handful this season, with Leckie coming back and Giannou looking sharp, why start Maclaren? 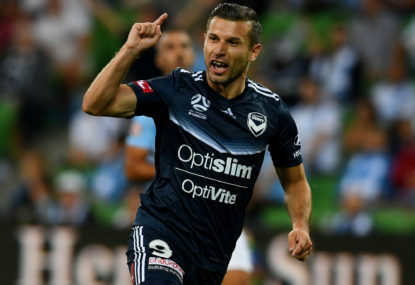 I’m also not a big fan of Behich, hasn’t scored or assisted so far. Will bench him for Gersbach, as I think the latter has done well considering the little amount of time he has on the pitch so far. We should also be looking past Milligan, as he is too old. He’s slow, probably unfit and played poorly against Syria and Jordan. Amini for him. As for Australia’s weaknesses, injuries, a weak defence, and a lack of firepower. Well, as for Uzbekistan, I don’t think they are much worse on paper than Australia. The only weaknesses I can see is that Uzbekistan doesn’t defend the flanks particularly well and they have less time to recover after the Japan game. Uzbekistan to capitalize on an error at the beginning before Australia equalise shortly after. A player to be the difference in extra time. We need to significantly improve if we can consider us an Asian powerhouse. Against Syria, Palestine and Jordan we were not at our best. We were fortunate to come away with a win against Syria, Palestine was underwhelming and the performance against Jordan was appalling. To be honest, I can see Australia going out, well straight away, if they aren’t at their best. The team is simply not performing well and unless if that changes, we should no longer be considered an Asian Powerhouse. And btw, yes Maclaren found the net once, but I still can’t see him scoring another one soon. Mission Impossible: Can Arnie take us all the way in the UAE?